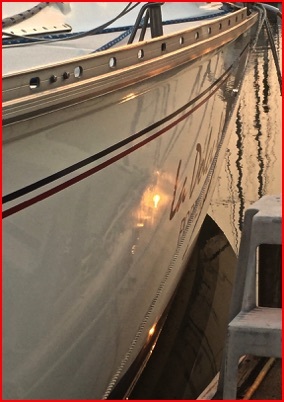 More boats restored by ISLAND GIRL® Products in Oregon…. 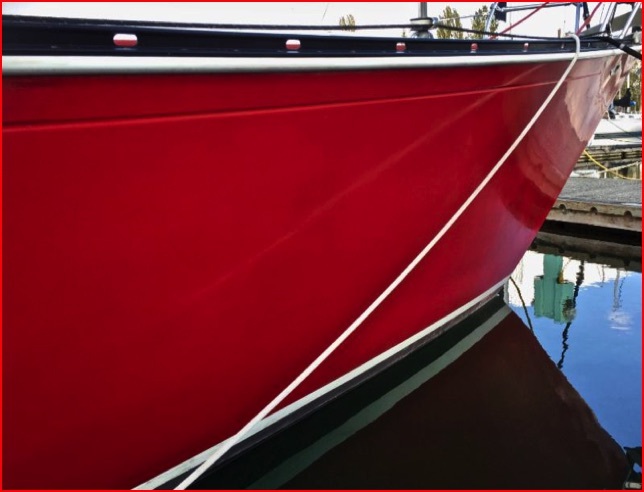 This C&C Sailboat had red gelcoat with some areas that had been damaged and had to be touched up. It had a failing grayish layer of old 2-Part Clear Coat that could only be removed by wet sanding. 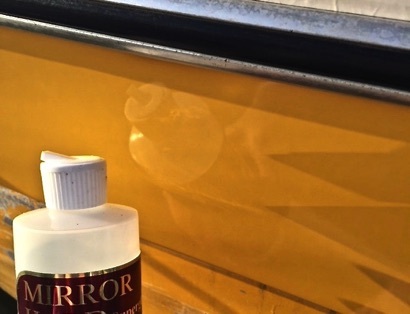 The "IG 2-Step Process" (ELIXIR™, then MIRROR HARD Superglaze™) restored vividness and shine to the gelcoat that can now be easily maintained. 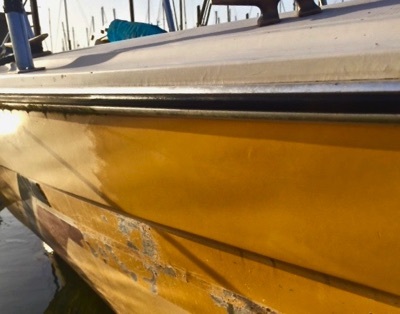 Eleven-year old Carver 330 Mariner. 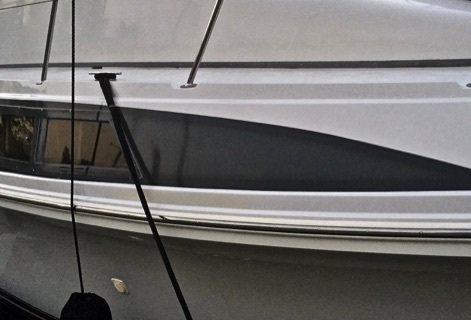 The grey gelcoat stripe was a problem since regular wax protection, according to owner, "did not even last a month". 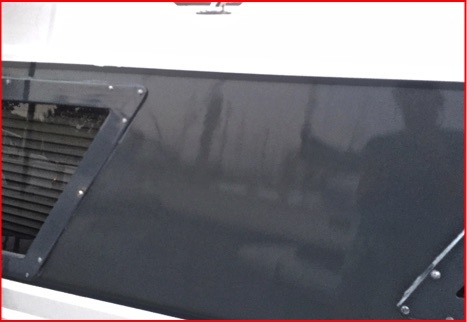 Problem solved with light abrasive polishing to remove surface porosity. then application of ELIXIR™, SILKENSEAL™ and two outer coats of MIRROR HARD Superglaze™ . Depth of shine and weathering protection is lasting well. Photos taken at one month after application.